After a long wait, the trailer is finally here! After being away from the television screens for a while, One-Punch Man will be releasing this spring. The first One Punch Man Season 2 trailer went live and fans across the globe are very happy! After seeing the trailer, you can easily spot your favourite heroes in action. We can see Saitama in the front and centre as expected. But the Caped Baldy is not alone! He is joined by the likes of Genos and the rest of the Heroes Association. On a different note, we see the group isn’t living clear and free nowadays. Thanks to a new threat, One Punch Man’s world is more dangerous than ever before. A mysterious figure named Garou is out hunting down our heroes. But his nearly limitless strength makes it impossible to defeat him. Clearly, this becomes a case for One Punch Man to handle, and season two will explore this conflict. 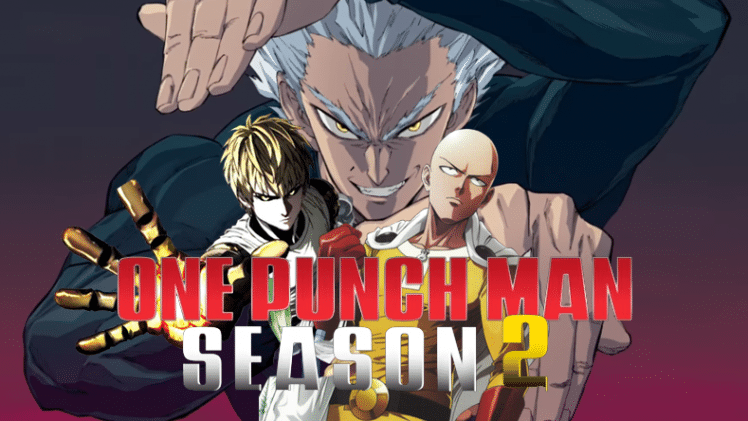 According to reports, this new season 2 of One Punch Man will be releasing on April 2. Viz Media has confirmed that it secured a license for the property already. This gives the fans in the United States a chance to check out the long-awaited title. J.C. Staff was tasked with producing this new season after the first was overseen by Madhouse. So, the audiences will get to see a new take on the anime for better or worse this spring. ‘Chilling Adventures of Sabrina’ Part 2 trailer Released!